Sign up now to be the first to hear when this is available to purchase on Amazon! Part of an effective privacy management program! Properly managing a privacy breach is critical to the continued success of your business. ATTENTION: All privacy officers, practice managers, healthcare providers, clinic managers of private healthcare practices who need to train staff to recognize a privacy breach and respond to a privacy incident with confidence. This 60-page multi-media e-book is for you! Sign up for Privacy Nuggets Newsletter and select ‘Publications' to receive an email as soon as Prevent Privacy Breach Pain is available! Did you know that 80% of all privacy breaches are caused inside the business? Most of these breaches are an ‘oops’ or honest mistakes. Some breaches are malicious or intentional. Sometimes business have security breaches from outside the business that cause privacy breaches. Don’t wait for a privacy breach to happen to you! Privacy breach management is a key part of a comprehensive privacy management program. Start now to prevent privacy breach pain. Prevent Privacy Breach Pain will help you create a strategy for your privacy breach management program and to prepare your staff to respond to a privacy incident with confidence. When you have a privacy breach you must recognize the breach, contain it, notify the affected individuals, and prevent it from happening again. Your Practical Privacy Coach has prepared this valuable resource to help you implement the 4 Step Response Plan. When you have this plan you will have confidence that you have identified and managed your areas of risk and dramatically reduce the risk of a privacy breach. Your staff will recognize a privacy breach early and respond quickly. You will manage the breach with minimum of risk to your patients, clients, and your practice. 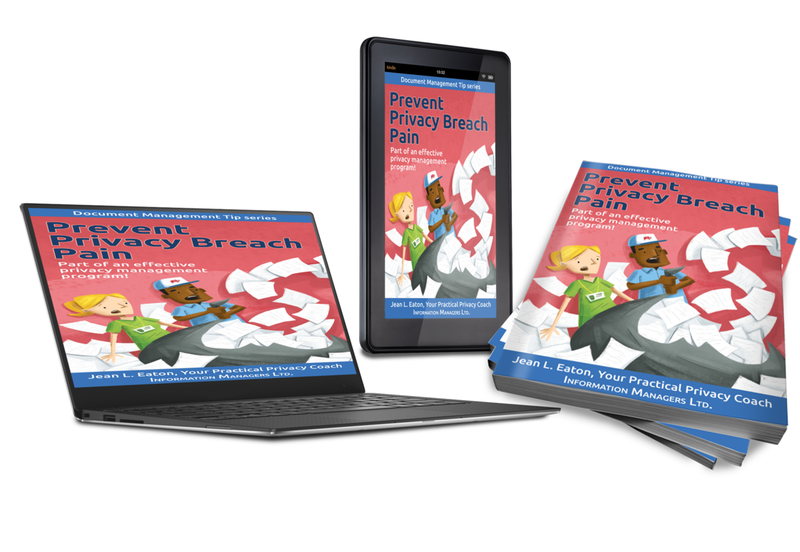 E-book, Prevent Privacy Breach Pain, that you can read on your Kindle, PC, Mac, Android, or iPad devices. Access to members only website to download additional multi-media resources including videos and templates in Microsoft documents that you can customize for your healthcare practice. With expert practical and cost-effective advice from Your Practical Privacy Coach, you’ll learn everything you need to know to manage a privacy breach with confidence and prevent it from happening again! Prevent Privacy Breach Pain will help you to create a strategy for your privacy breach management program and to prepare your staff to respond to a privacy incident with confidence. Prevent Privacy Breach Pain, Amazon Kindle edition, includes these great bonuses that you can access from the private members’ website. Video – Interview with Grant Ainsley: Good news, Bad news. How to talk with the media. Jean is a recognized and respected leader and expert in health information management, privacy management and legislation. An engaging workshop leader, she provides solutions that are practical and effective for today’s healthcare providers. 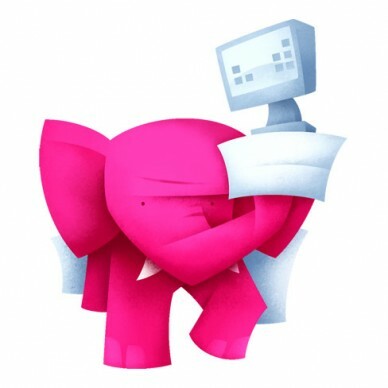 She is constructively obsessive about privacy and security when it comes to the handling of personal information, particularly in primary health care settings. Jean is passionate about supporting primary care practices to implement privacy by design and best practices to protect privacy, confidentiality, security of personal information. If you are a privacy officer, practice manager, healthcare provider, clinic manager of a private healthcare practice who needs to train staff to recognize a privacy breach and respond to a privacy incident with confidence, then Prevent Privacy Breach Pain is for you! Soon to be available to purchase on Amazon!